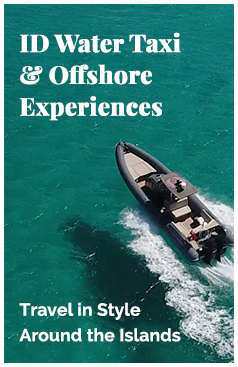 "The ID offshore water taxi service is fantastic. All of the family and good friends have used it to get to our home in Formentera. The RIB is very comfortable and super cool – they will even beach the RIB and drop us directly at our door!" "I have chartered the ID RIB on a couple of occasions with friends and family and have had such a great time. The skipper Tim is fantastic and the boat is an absolute beauty, very comfortable, with good space to soak up the Summer sun." "There is no better way to arrive in style for lunch at Juan y Andrea than on the ID offshore service. Super fast, comfortable and very stylish all of my equities team thoroughly enjoyed the ride."